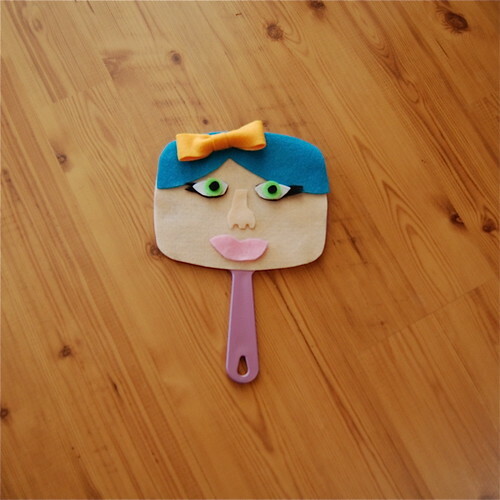 I Love to Create – Mirror Mirror on the Wall Who is the Craftiest of Them All? I have hand mirrors on the brain lately. Maybe it is all those Snow White and the Huntsman commercials. Maybe it was last week when I decided to hot roll my hair and realized I had no way to see the back of my head. Whatever the reason there was no way I was going to have a plain jane hand mirror on my vanity. The first thing I did was decide on a design. 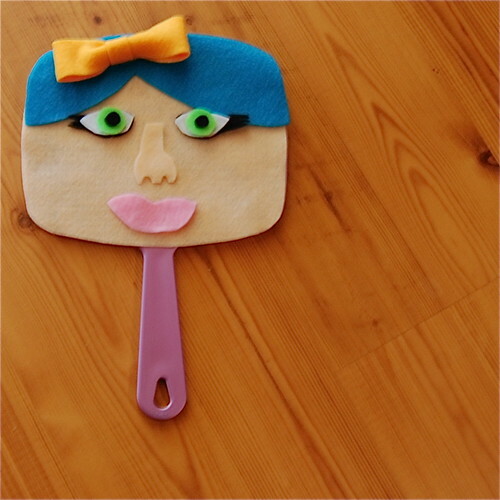 Once I knew how I wanted my mirror to look I cut out pieces of felt. 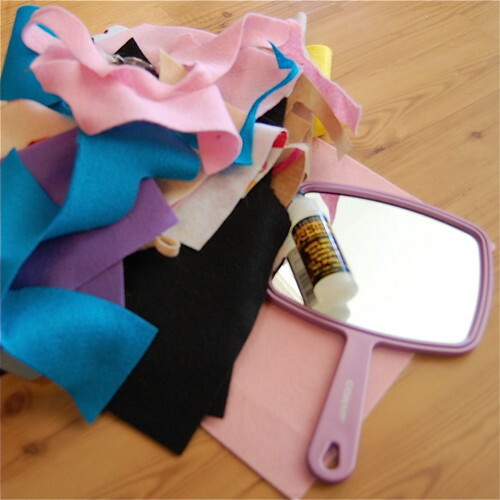 I attached all the felt to the mirror using Liquid Fusion. 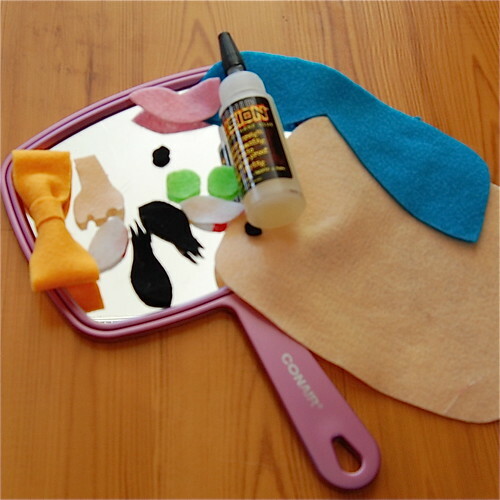 Be careful not to use too much so that it does not darken your felt. I also added a hairbow from Jen at Hell Razor. Now next time I need to see the back of my head I’m ready! P.S. Don’t forget that hand mirrors also make great picture frames. P.P.S. Please excuse the slightly blurry pictures. I am taking photography classes and my teacher made me change all the nice settings my photag friend Erin had put my camera on. Posted January 19, 2012 & filed under I Love to Create, Retro Crafts. this is so cute!!!! I have to make this for my niece. she will love it! thanks for the inspiration!